Many animal rights activists have gone into a frenzy over a 19-year-old big game hunter from Texas Tech University named Kendall Jones, posting nasty comments on her Facebook page that depicts the exotic animals she hunts. Kendall is one of many big game hunters who consider themselves conservationists first and hunters second. Despite the fact that big game hunters like Kendall kill animals that are considered endangered like elephants, lions, cheetahs, rhinos, and hippos, the massive fees they pay fund private wildlife conservation camps and help fight illegal poachers. In fact, legal big game hunting is a major reason why many of these endangered animals are not extinct today and have the potential to become revived. Just how much money is made off of these big game hunters? It can cost up $35,000 for a single elephant hunting experience, $29,000 for a lion, and$10,000 for a hippo. In total, the trophy hunting industry is a $200 million dollar a year industry for Africa. This is money that is going to entrepreneurs who are investing in preserving the environment and local ecosystem to continue breeding exotic livestock. There is also money going to the local areas and the government from these hunts helping to further stimulate and grow Africa’s economies. Activists who are upset about big game hunting need to understand that this industry is increasing African GDP, stimulating the continent’s stagnant economies. Furthermore, the meat from trophy hunting is not going to waste. As one Facebook post from the Maroi Conservancy explains, “We do ethical hunting and all meat from animals hunted is distributed to the local community.” Big game hunting provides positive effects in every direction. It allows hunters the ability to legally hunt a trophy animal. The hunting companies use the meat to give local Africans a meal, and the revenues continue to protect endangered animal populations. Hunters get their game, companies help their local community, and environmentalist see the recovery of endangered populations increase. It’s a triple win provided by the free market. Besides economic growth, big game hunting also has a positive financial aspect. According to National Geographic, private hunting operations in Africa that make their revenue from big game hunting control more than 540,000 square miles of land. That’s 22 percent more land than is protected by national parks from the government. The profit motive has encouraged these African hunting operations owners to protect endangered animals to ensure their revenues are stable for the long-term. It’s also important to consider the externalities of what would happen if activists were able to make it illegal for big game businesses to continue their hunting services. Without price signals and private property to protect big game, there would likely be a big increase in poaching. There would be a tragedy of the commons effect where big game hunters would race to hunt these exotic beasts because they know that if they don’t then someone else will and the animals will go extinct anyway. African governments do not have enough money nor man power to stop poachers. 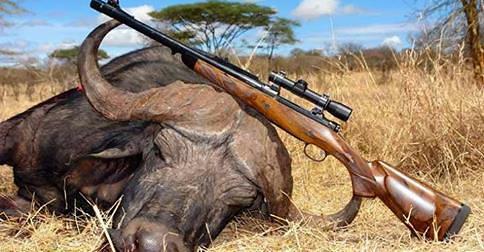 By making it illegal to hunt these animals, activists would almost surely seal animals’ demise. The free market answers environmental concerns. In the case of big game hunting, it provides funds, incentives and legal outlets for individuals to be better able to help keep endangered species off the extinction list. Instead of ostracizing big game hunters like Kendall, individual should look beyond the Facebook photos and see the real good she is doing for the animals that so many people care about. Gannon Le Blanc is a Young Voices Advocate studying economics at Eastern Michigan University.